Join synerG at the annual Lead Your City Summit to help young professionals GROW their leadership skills, BUILD on their ideas, SERVE their community, and CONNECT their network. 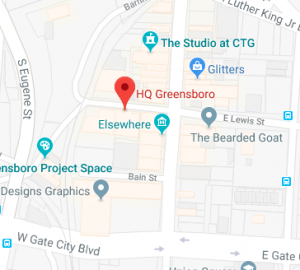 The Lead Your City summit will be held on Thursday, March 7 from 8:30am-5:30pm at the Van Dyke Performance Space in the Greensboro Cultural Center. It will help young professionals grow their leadership skills, build on their ideas, serve their community and connect their network. Caroline Dwyer, Project Manager for Healthy Places for Healthy People, will lead the keynote panel focused on community health. Other sessions during the day will cover topics such as mental health, healthy relationships in the workplace, and healthy habits to incorporate in your everyday life. Visit synerG.org for more information. We can’t wait to see you there! Lead Your City is sponsored by the synerG Young Professionals, Greensboro Jaycees, ITG Brands, VF Jeanswear, Cone Health, Van Dyke Performance Space, ArtsGreensboro, Center for Creative Artists and the City of Greensboro. $35 young professional registration fee covers entire summit including breakfast, lunch, headshot and networking reception. Tickets for this event are subsidized for young professionals. If you are over 40 and would like to attend we ask that you cover the full cost of $60 for attending the event.